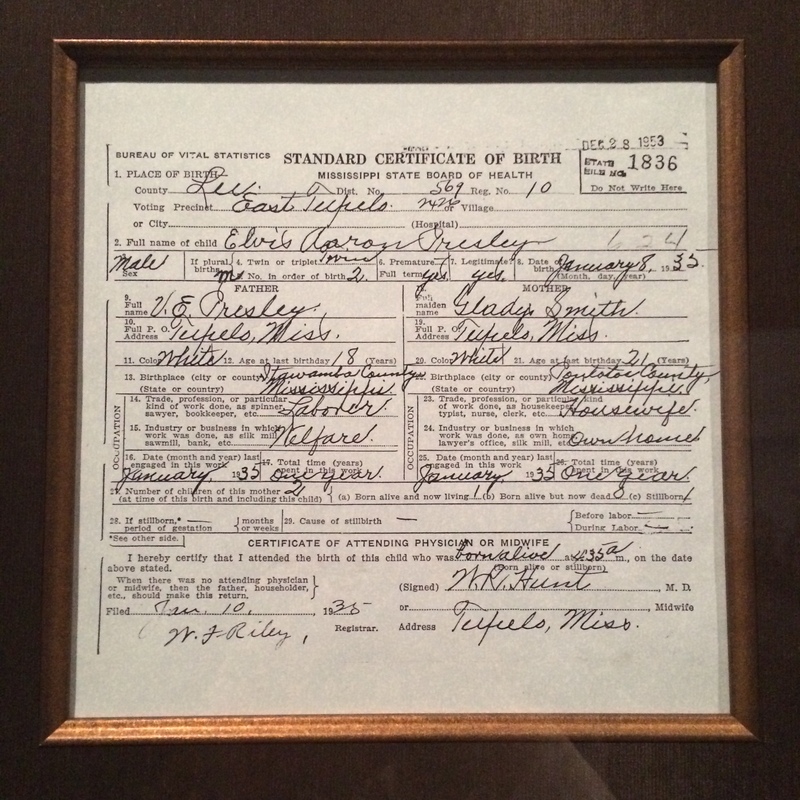 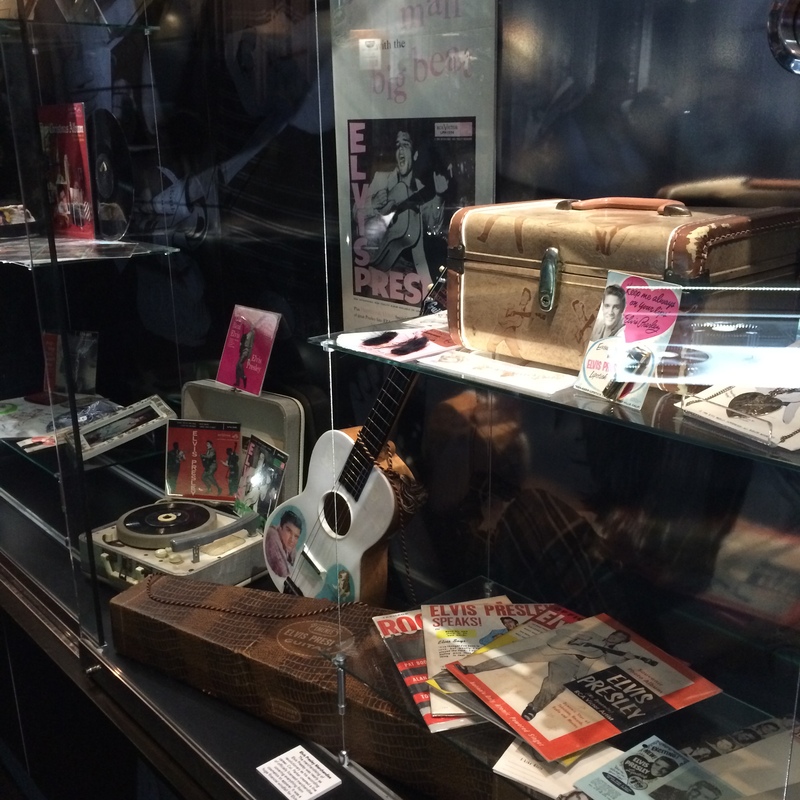 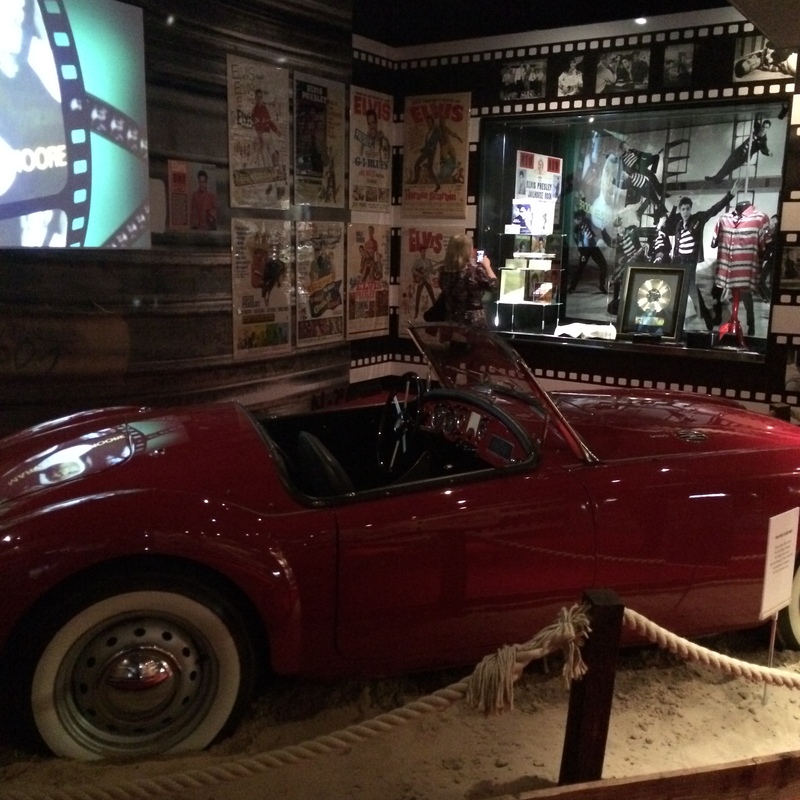 The exhibit showcases a fair amount of personal items, taking us through his early years and also giving a good insight in to his style, his movies, and of course his music. 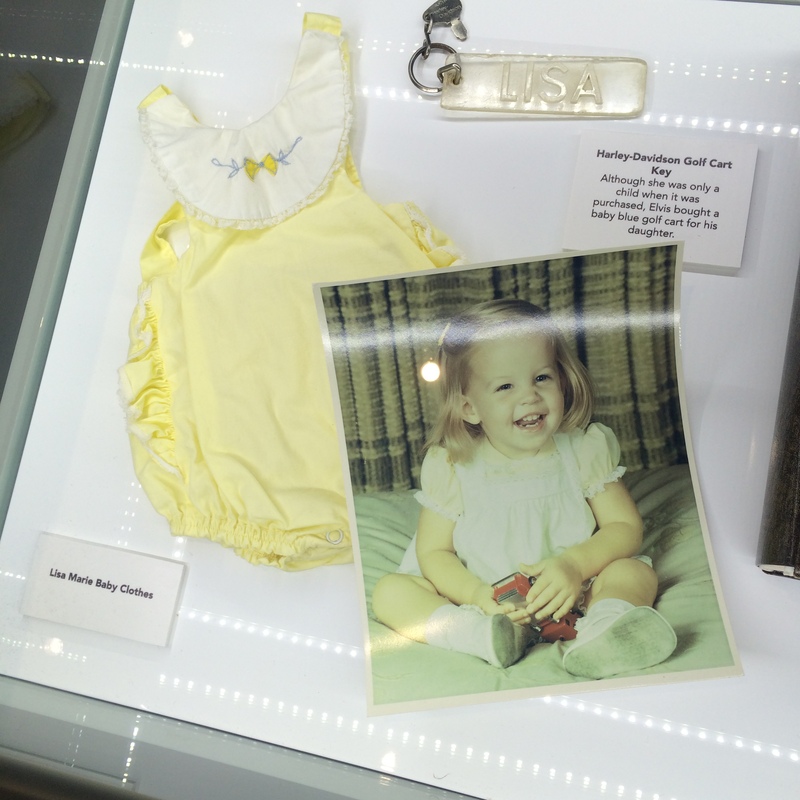 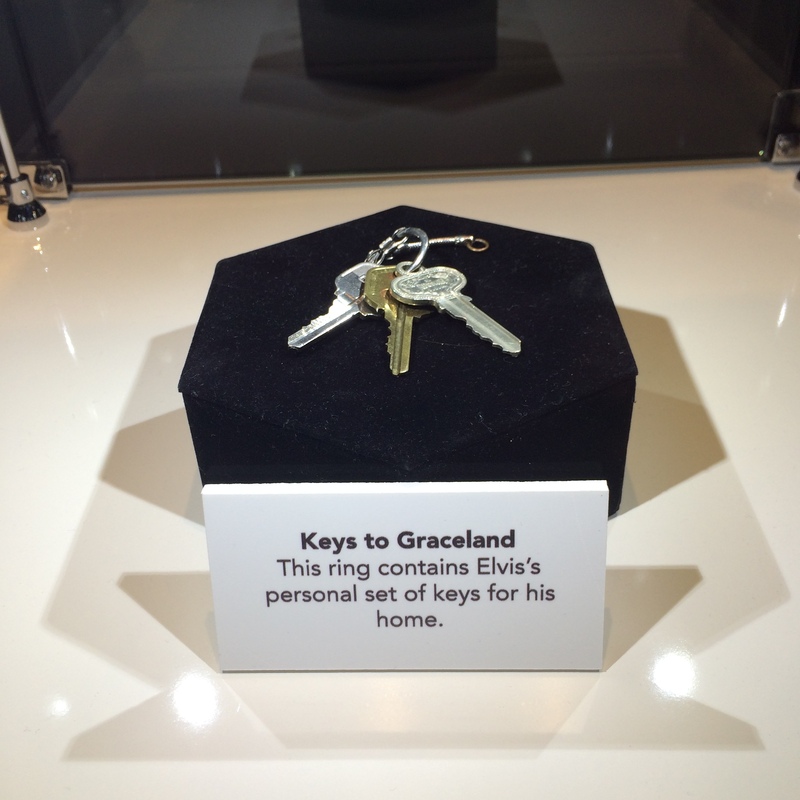 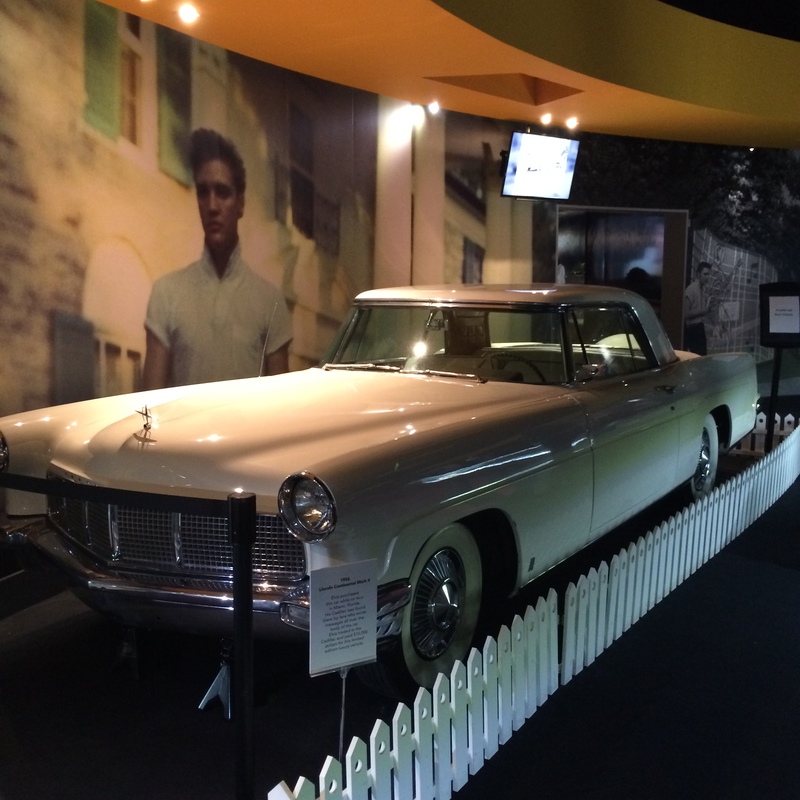 There’s plenty to keep any Elvis fan entertained – including cars, fashion, costumes, documents, records, guitars and personal belongings – even his American Express credit card and his personal set of keys to Graceland. 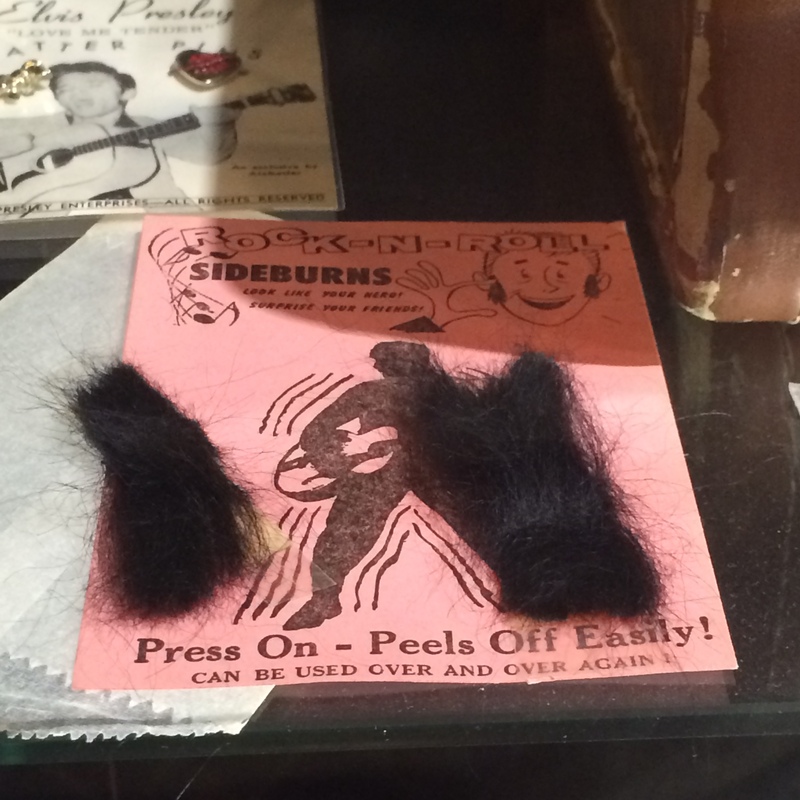 I was even excited by peel-off-easy sideburns (not to actually wear!) 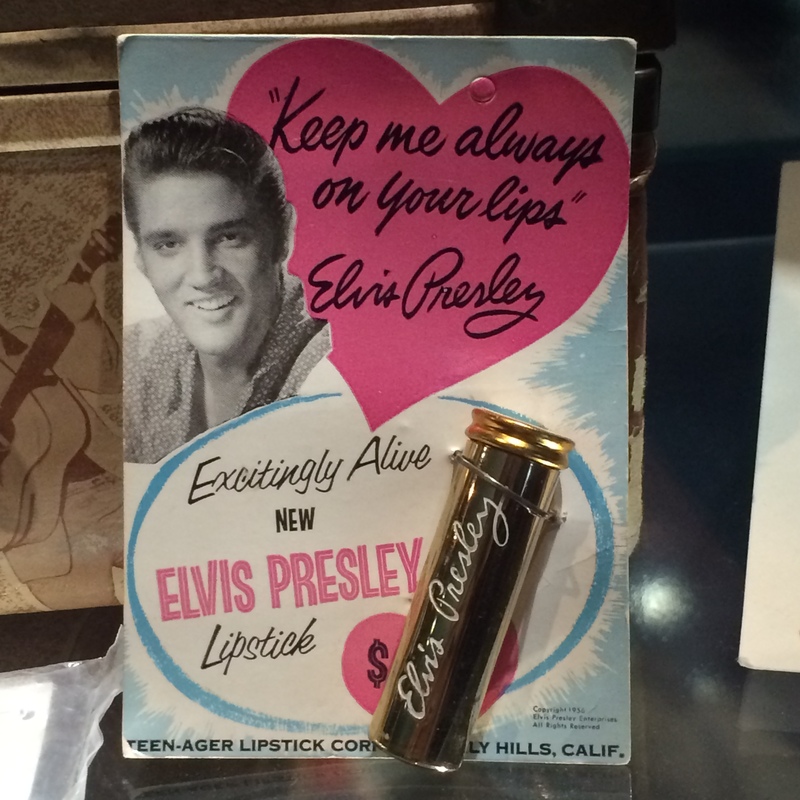 and the “Keep me on your lips” lipstick in the merchandise display! 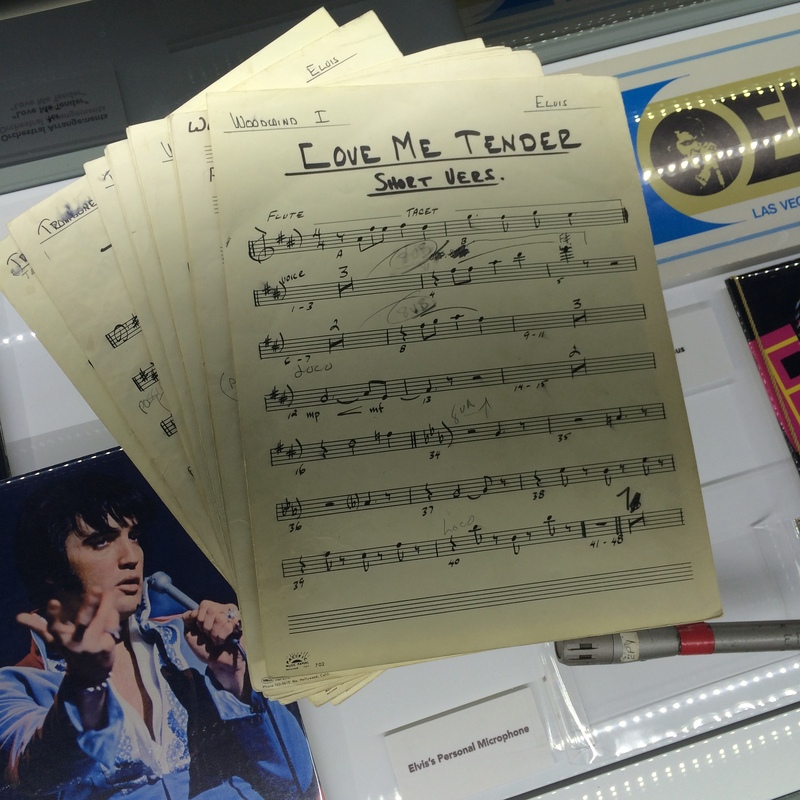 Once you’ve explored the exhibition fully, there’s a screening room playing clips from his Aloha From Hawaii concert, where you can see The King perform classics such as I Can’t Help Falling In Love With You and American Trilogy. 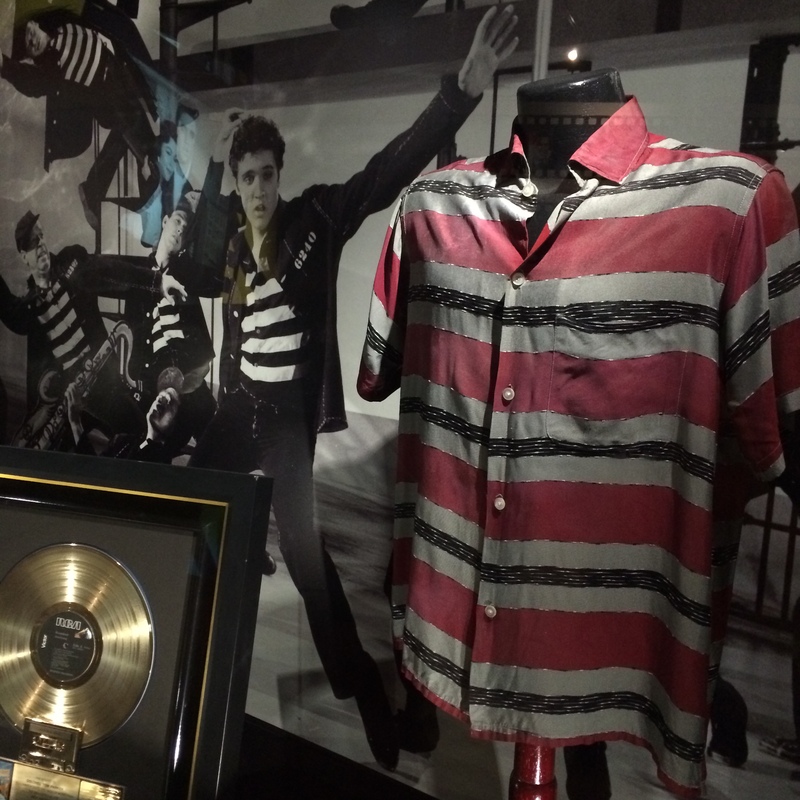 If you’re an Elvis fan then definitely check it out – it’s only on until August this year, and there are plans to occasionally swap out some of the artefacts. 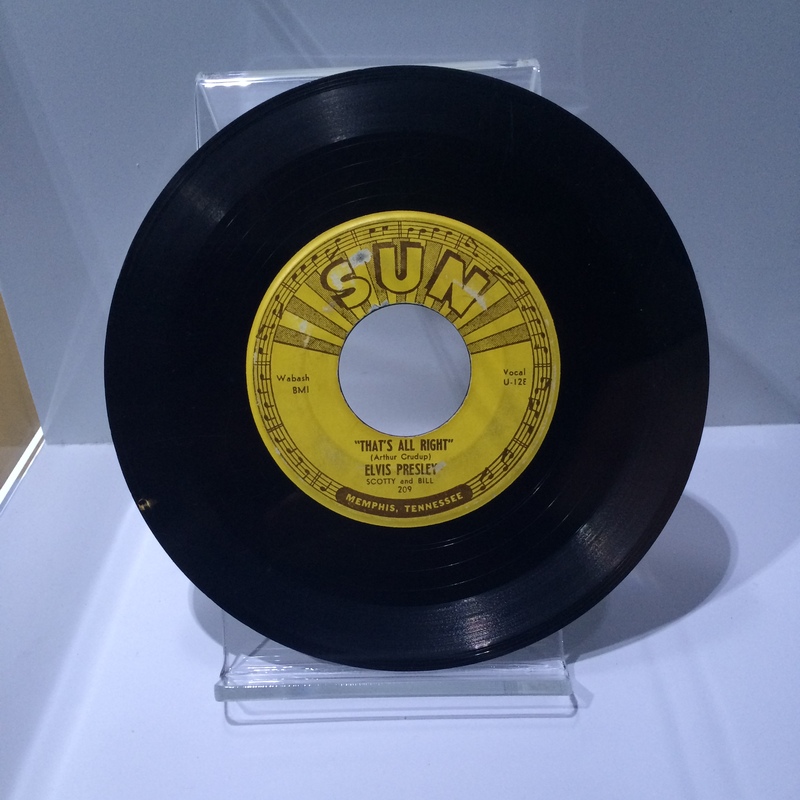 You can easily get lost amongst the rock ‘n’ roll for a good 1.5-2 hours, giving you plenty for your buck. 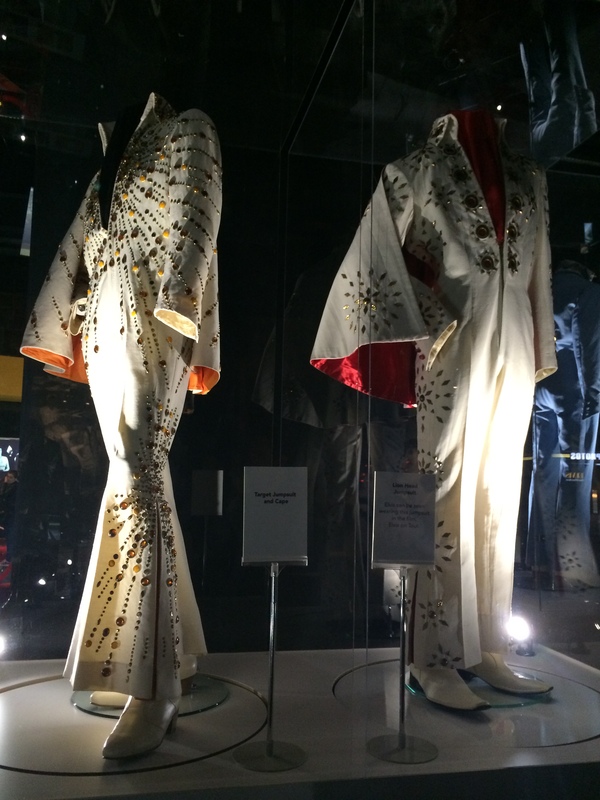 Visit elvisattheo2.com for more details. 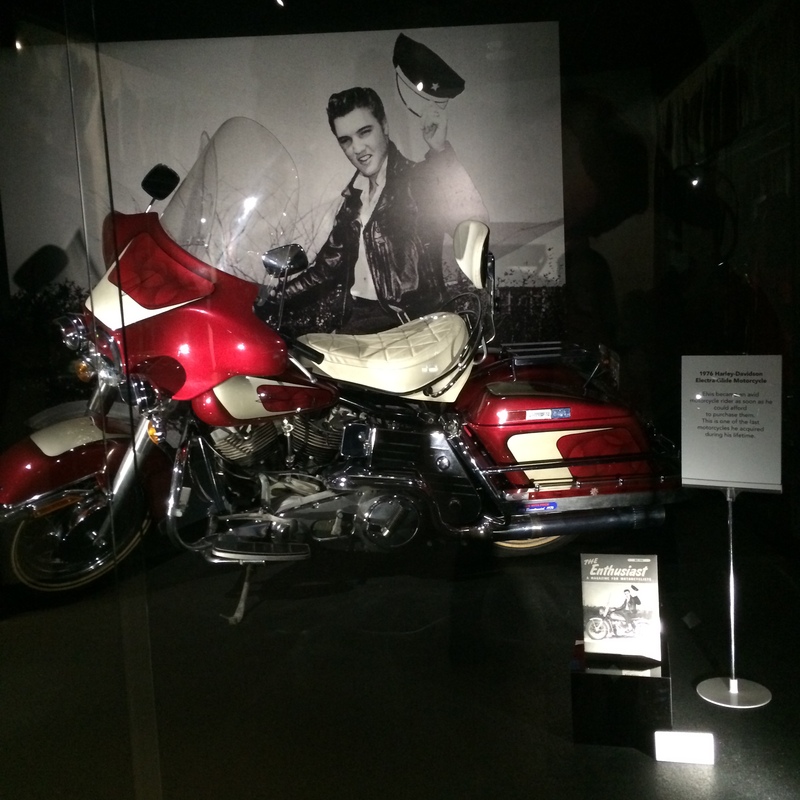 I don’t want to give too much away, but below you can see some photos I took during my visit, giving you a good insight in to what to expect. 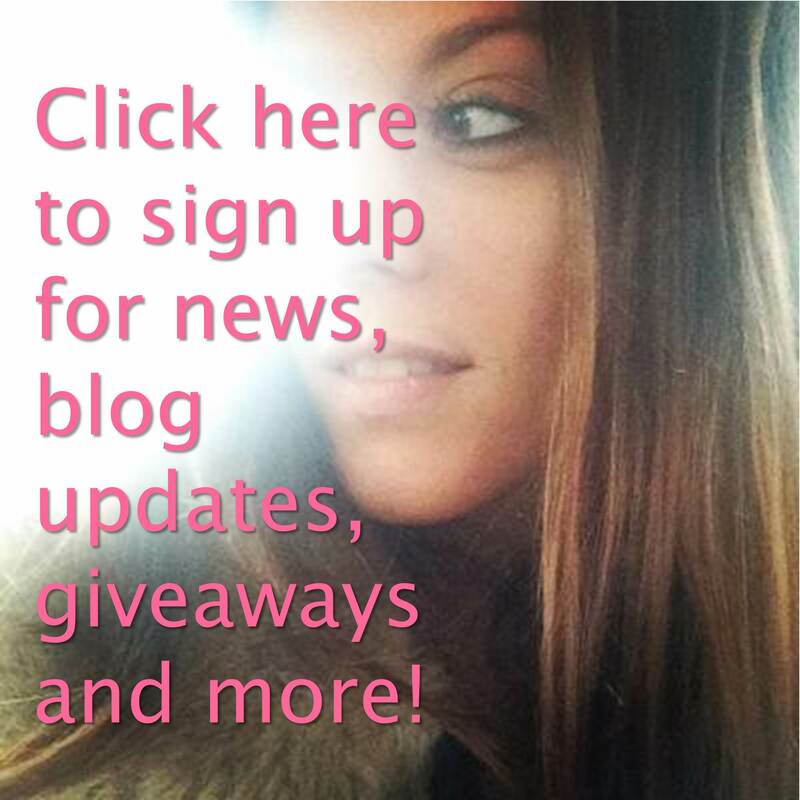 Do not scroll down if you don’t want to ruin any surprises!